This is the one! 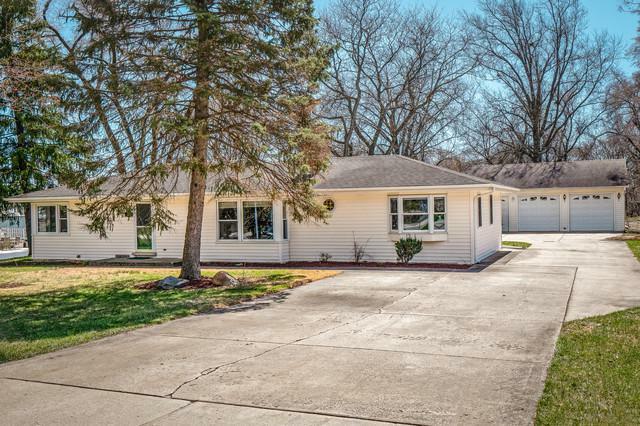 Beautifully updated ranch PLUS a full finished basement on an almost 1 acre gorgeous lot. Nice open concept with lots of natural lighting. 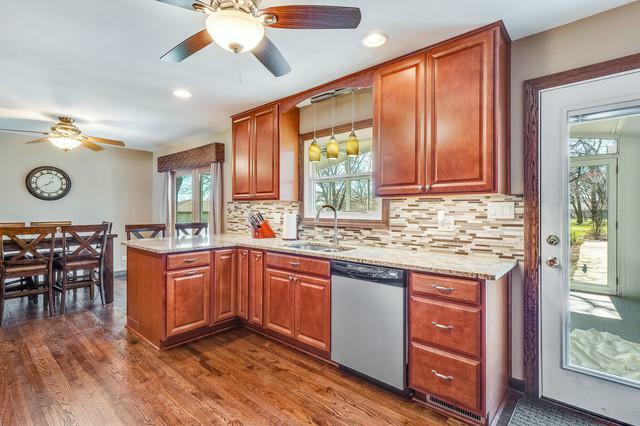 Great remodeled Kitchen with 42" cabinets, granite and beautiful mosaic tile backsplash. Large 3 season Sunroom off the Kitchen features a vaulted ceiling, new carpeting and beautiful views of the almost 1 acre lot. 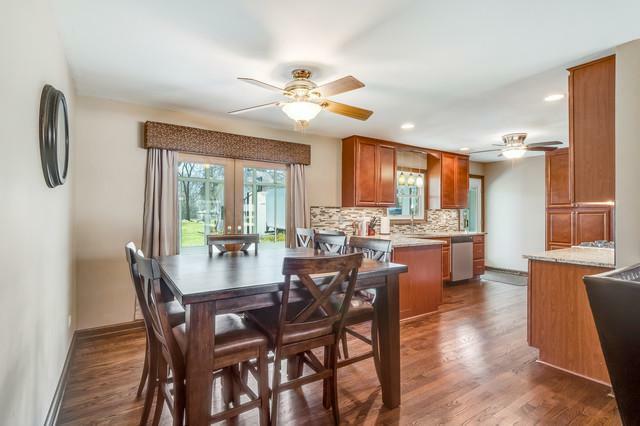 Home features nice hardwood floors in Kitchen, Living Room, Dining Room and 2 Bedrooms. Nice size Bedrooms. Master Bedroom features a Master Bath and walk-in closet. Main Hall Bath features a whirlpool tub. 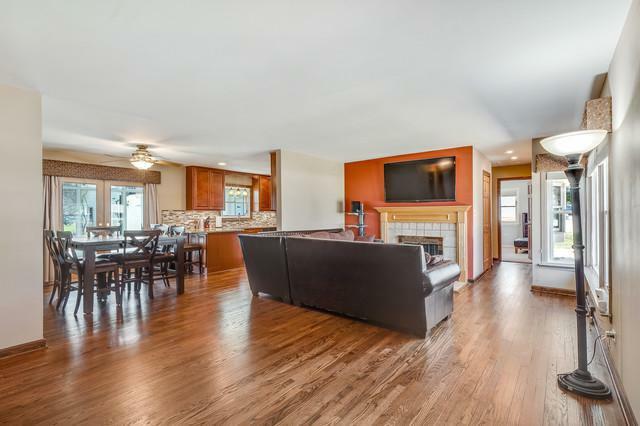 Nicely finished Basement with large Family Room, additional cabinets and refrigerator for entertaining. Massive 3-car detached HEATED garage! Vaulted ceilings with skylights & the height will accommodate a lift to store up to 4 vehicles. Tons of attic storage in home & garage plus additional storage in basement. Whole house water filtration/purification system. Close to I355 & tons of shopping. A must see!